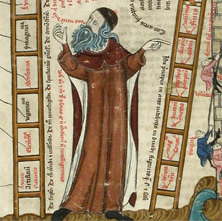 This is the Portal page of the Brazilian Institute of Philosophy and Science Raimundo Lúlio (Ramón Llull). : Homepage of the Institute. Who we are. News. Activities. Bulletin. Library. Store. How to contribute. : Homepage of the Lullian`s studies realized in the Institute. It is not, neither seeks, to be the official organ or the spokesman of the studies about Llull. Neither any exclusivity type is wanted, and it will be very well received those similar pages that will arise on Llulian`s studies. : inspired by the Catalan philosopher's desire Ramón Llull (C.1232 - 1316), that suggested the installation of a forum of permanent debates on the topic of the multireligious dialogue, the professors Esteve Jaulent (IBFC Raimundo Lúlio) and Harvey Hames (Ben Gurion University of the Negev, Beersheba) decided to place at disposition of all the interested parties the up-to-date bibliography on the topic, and to open a debate forum for the exchange of new ideas and suggestions that about this matter were appearing. : Relationship of courses already carried out and in march. : The objective of this virtual community is to provide an adequated mean of communication among all the interested parties on the Lulian's thought. : The relationship of the patrons until now. : Visit the virtual store of books of the Institute. Would youi like to make a course of Introduction to the lulism?